It took Yasiel Puig a couple of weeks to finally blast his first home run as a member of the Cincinnati Reds, but when he did on Sunday it was worth the wait. Check out this display of power as Puig launched this ball into the stratosphere. Puig, who sat out two games after taking on the entire Pittsburgh Pirates roster last week in a brawl, needs to get into a groove. With two hits in five at-bats Sunday, Puig raised his average 31 points from .132 to .163. 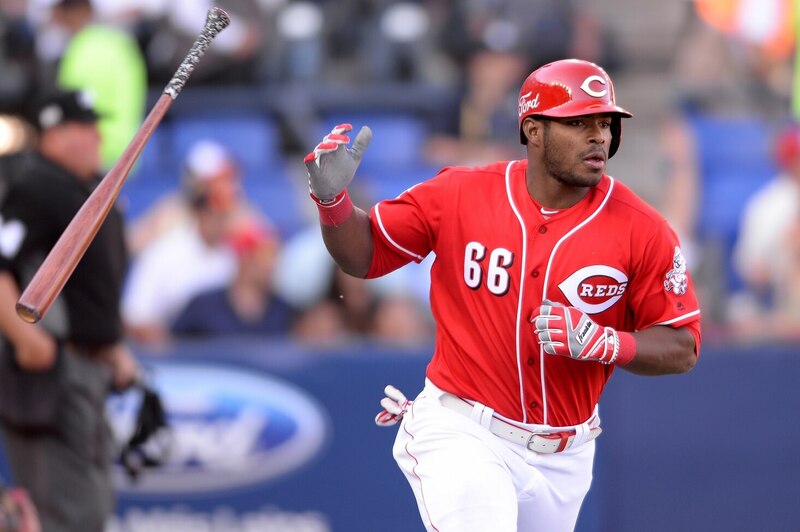 Cincinnati and its fans are certainly hoping this is a sign of better things to come for the slugger.